Recommendation is one of the new personalized services in social book search system that assists the user to find the appropriate books. This paper proposes an improved collaborative filtering recommendation algorithm based on the user interest objects, which try to settle the cold start problems of traditional collaborative filtering. Firstly, set up a book retrieval system. Then, use the traditional collaborative filtering algorithm to calculate the recommended collection of books (Bc). Next, get the collection of user interest objects, calculate the similarity, and get the recommended collection of books (Bi). Finally, reorder the books of the set Bc and the set Bi according to certain weights, and get the first ten books as the books that are finally recommended to users. Experiments on real-world datasets results show that the proposed algorithm improves the performance of the collaborative filtering algorithms. This work was partly supported by Research on Stability Analysis of a Type of PWM Feedback Time Delay System No. 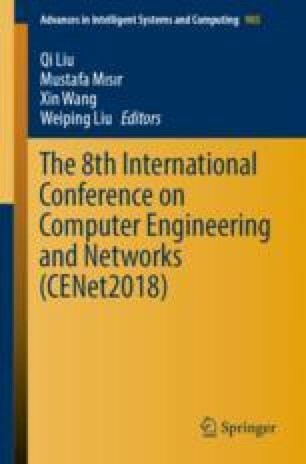 XL201510, Matlab PWM system simulation and application JAT160507 and Research on Information Hiding Technology based on DeepLearning JT180546.